Ended up messing around being able to control the water color via biome settings similar to grass and leaves. Hearts btw are now 4 parts. so how do you want it to be chance able? with the terrainMap.png, we have all 3 colours used. Biomemap has 2 colour used, but with one colour left, how do you want it to be ? Currently its using humidity and temperature to determine the color. 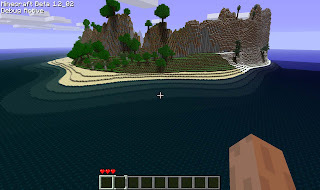 Might use just another map image allowing you to paint the water however you want.